Atlanta, GA – April 2012 – Ohio-based eNNOVEA , which serves medical and non-automotive customers adds another Southeastern U.S. location to serve a local customer. eNNOVEA and affiliated Florida Production Engineering (FPE) now operate in FL, OH, KY, NC, PA and GA. The companies serve automotive, medical device and consumer end-markets. They offer a variety of plating and other value-added services and have injection molding machines up to 3000 tons. QPI operates out of a 50,000 square foot building with 15 molding machines up to 500 tons. QPI specializes in lower volume precision applications for various industries. 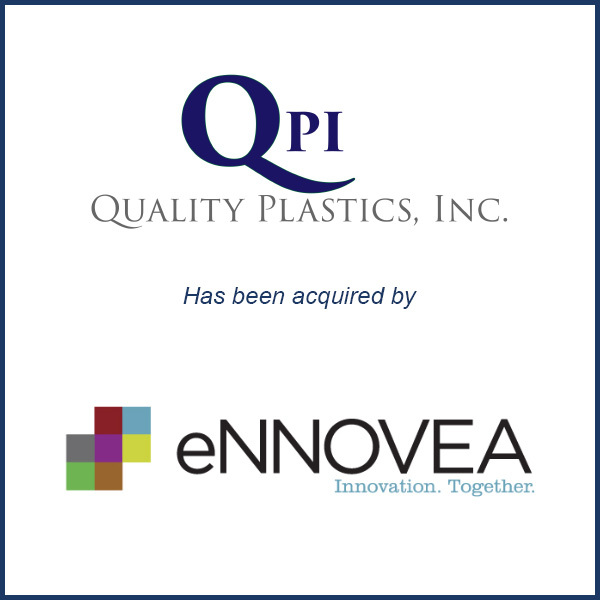 Molding Business Services acted as advisor to Quality Plastics in connection with its April 2012 sale to eNNOVEA, a division of Florida Production Engineering.